After walking past the place dozens of times, we finally checked out the new cafe that opened up just down the street. Everything about the place looked cool, so I had high expectations. 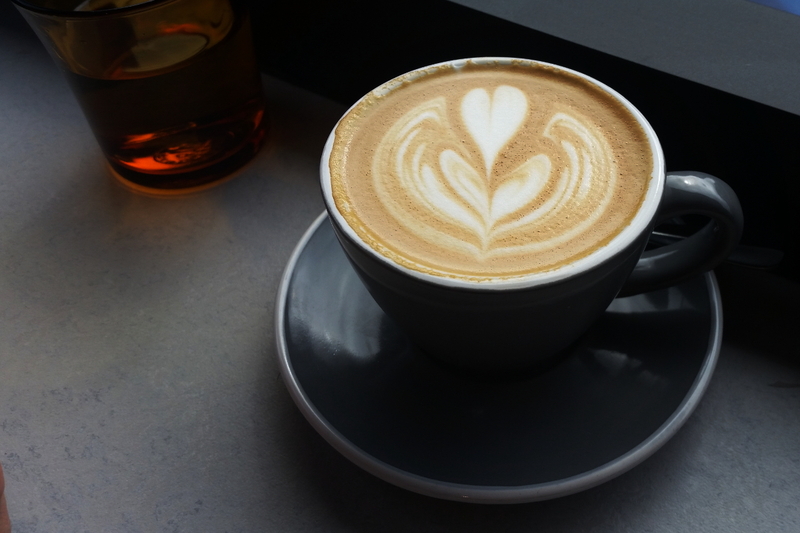 Scott had a flat white. He said it was silky smooth and quite good. 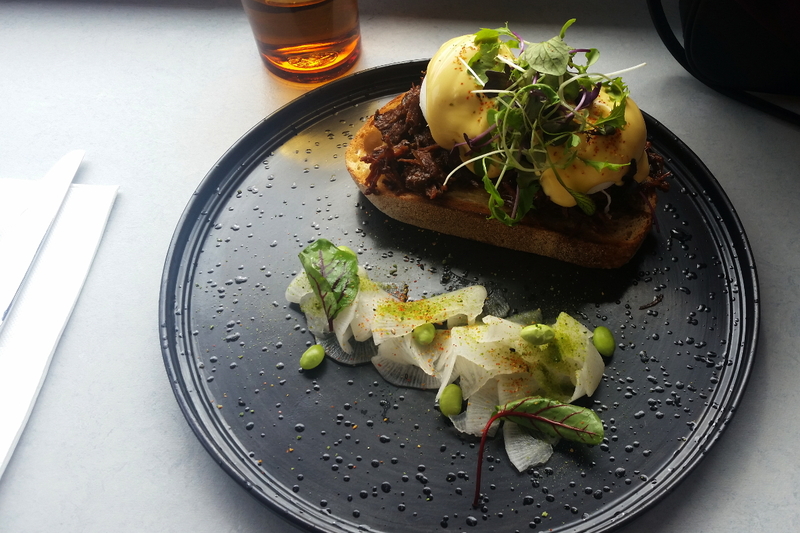 I had the ox cheek black bean eggs benedict, which had poached eggs, pickled kohlrabi, dehydrated peas and hollandaise over sourdough toast. It was EXCELLENT. Like actually one of the best egg benedicts I’ve had in my life. The ox cheek was super tender and there was a generous amount of it. The hollandaise and perfectly poached eggs were super rich, but the pickled kohlrabi cut right through it and cleansed the palate. The sourdough was lovely and the peas worked as a crunch element (hehe). Scott ordered the pixel avocado on sourdough toast, which comes with poached egg, chilli air dried kale, edamame hummus, pickled radish, lime and nori. It looked spectacular but maybe wasn’t the most exciting dish on the menu. 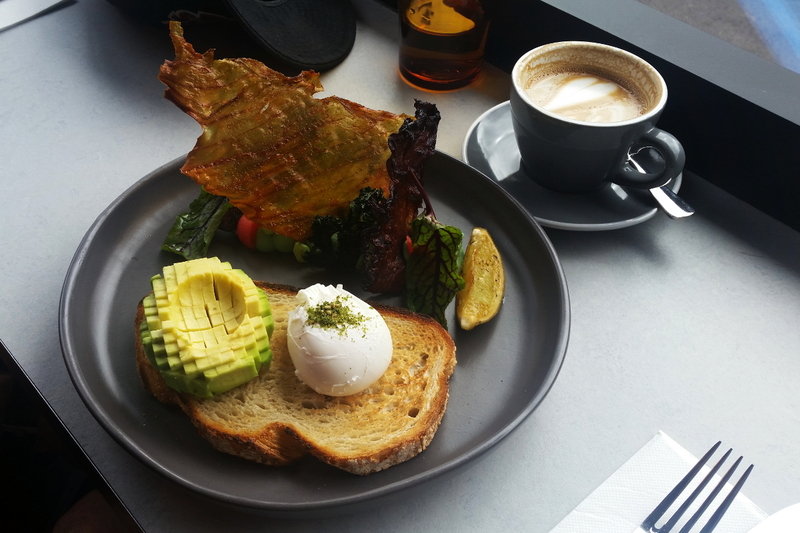 I mean the crispy veg and hummus were interesting, but the toast, avo and egg is just toast, avo and egg, you know what I mean? Still good but he probably should have ordered something different. 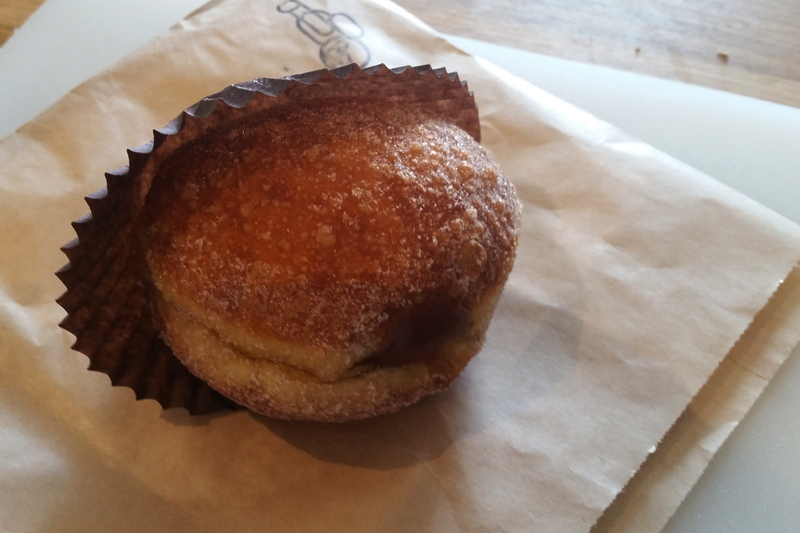 We also got a salted caramel doughnut to take home to share later. It was light and fluffy and the caramel was nice. All in all, very good. I can’t wait to go back to try out some more of their dishes. The miso scrambled eggs are calling my name. Actually we are going back tomorrow. :D Jemma and Damien are meeting us for brunch and then we’re taking April for the rest of the day until family dinner. She really wants to go on a tram, so we’re going to take one into the city to see the Wallace and Gromit exhibit at ACMI. That avocado LOOKS super cool, though!